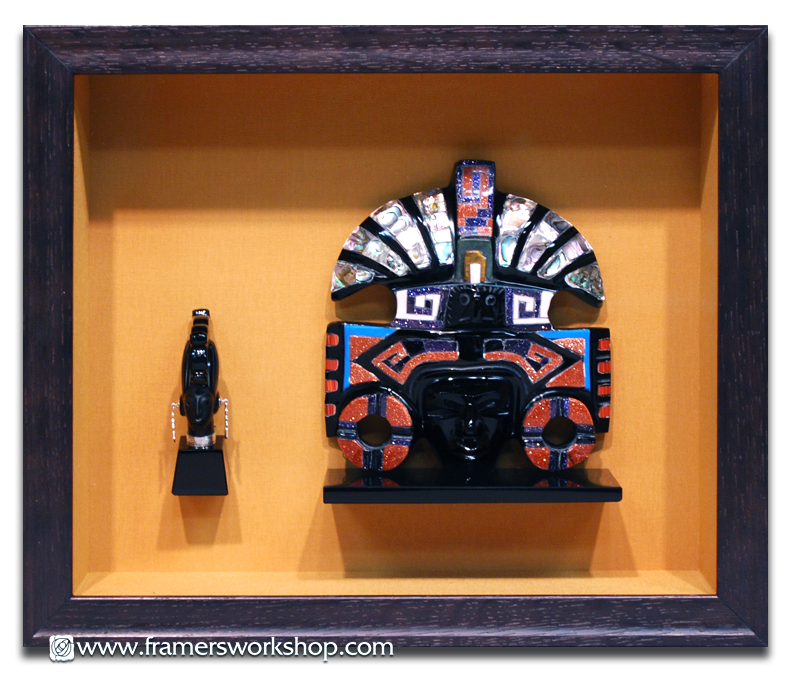 We framed this ceramic figuerine set in a deep ebony stained shadowbox. The shadowbox walls and background are covered in hand wrapped silk. 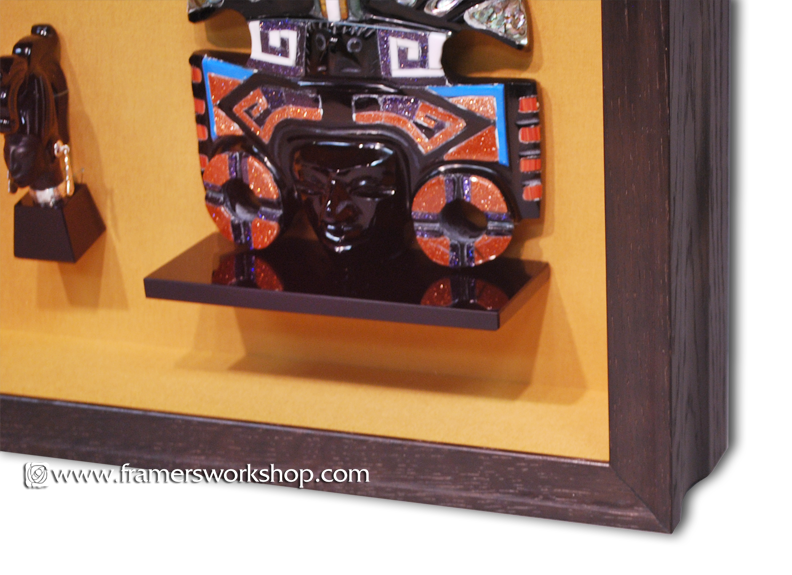 The collection is protected with Tru-Vue 99% UV protective Museum Glass ®.